Bath was denied victory over local rival Gloucester by a familiar face, while Billy Vunipola marked his return to action with a try for Saracens on a busy day in the Premiership. Tom Dunn scored two tries as Bath fought back from a 21-0 deficit to lead 31-24 going into the closing minutes, but former player Matt Banahan denied them with a score created by a sensational no-look pass from Danny Cipriani. Billy Twelvetrees kicked the conversion to level the scores at the Rec, securing Gloucester, which recorded an impressive win over Northampton Saints in the opening round of fixtures, a dramatic 31-31 draw. Bristol Bears looked to be on course for an upset when it led Saracens 18-13 at half-time, only for the reigning champion to hit back. 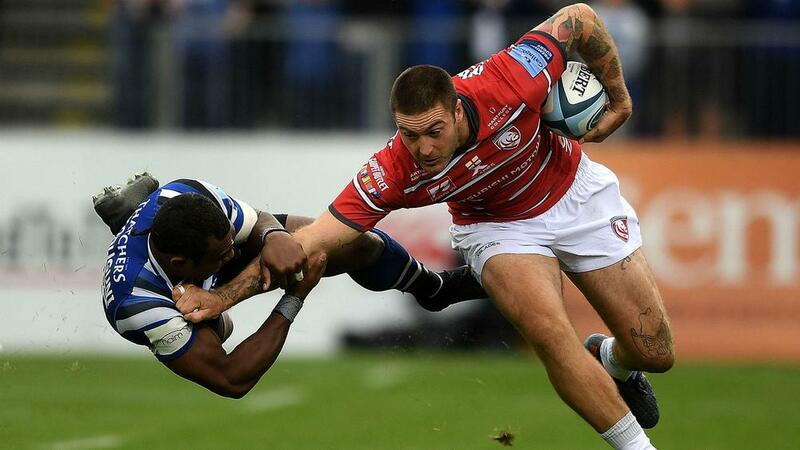 Liam Williams scored a 25-minute hat-trick off the bench as Sarries claimed a bonus-point triumph against the top-flight new boys, though the hosts were aided by the dismissal of Bristol's George Smith for a dangerous tackle early in the second half. Replacement Vunipola also touched down on his comeback from a broken arm suffered on England's tour to South Africa in June, while international team-mate Owen Farrell booted four conversions and a pair of penalties. Last year's beaten finalist Exeter Chiefs has started the campaign impressively, its second successive bonus-point triumph coming away at Wasps. Sam Simmonds and Henry Slade grabbed two tries apiece as the Chiefs pulled away in the second half to win 42-31. Wasps' cause was not helped by the loss of England forwards Brad Shields and Nathan Hughes to injury, the former seeing his debut cut short after a collision with Exeter scrum-half Stu Townsend. Leicester Tigers began life under Geordan Murphy with a 49-33 victory over Newcastle Falcons, giving its former player a successful start as interim head coach after he replaced Matt O'Connor at the helm. The Tigers led 40-19 by the interval, Jonny May collecting a brace of tries while George Ford also crossed once, helping the five-eighth finish the contest with a personal haul of 29 points.